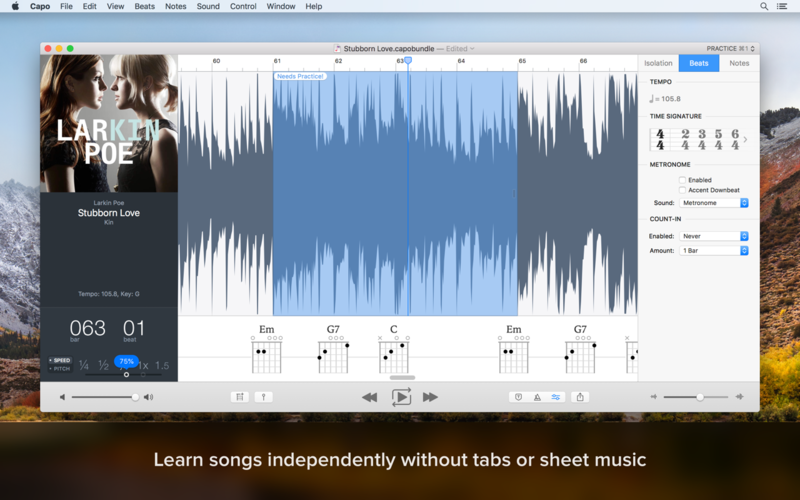 Capo 3.6.2 – Slow down and learn to play your favorite songs. Next story SwitchResX 4.7.2 – Monitor-resolution utility. Previous story Multitouch 1.7.3 – Handful trackpad gestures. Fission 2.1.2 – Streamlined audio editor. Capo 3.6.1 – Slow down and learn to play your favorite songs.